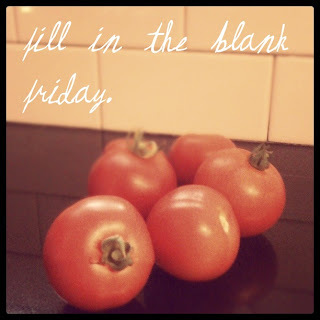 Linking up with Lauren at the little things we do for another rendition of Fill in the Blank Friday! You should always take time to let the people in your life know how much they mean to you. Kate Gosselin (Kate Plus (8) being cancelled from TLC makes the world a happier place to be. I can hardly wait for Dexter - Season 6... And Christmas. 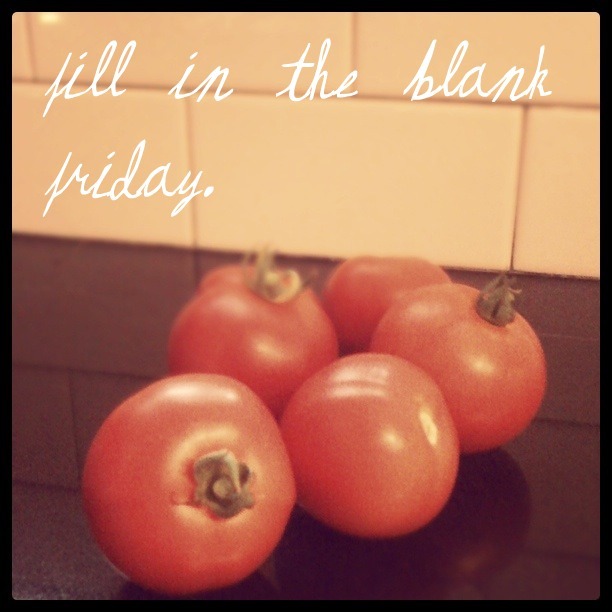 Thursday is my favorite day of the week. I think this stems from the days of early release Thursday's in school. Something totally dumb and ridiculous that I love is Toddlers & Tiaras... and Teen Mom. Don't hate. If I could, I would travel the world with my Hubby without any regard to time or money. I rather like soy vanilla lattes, cozy sweaters, lilies, and surprises. Bahaha, the cancelling of Kate Gosselin DOES make the world a much happier place! Especially watching the last few episodes. Geeze. Too funny!